Sandra Oh with the best perfromance by an actress in a supporting role in a series, mini-series or motion picture made for television award she received for 'Grey's Anatomy' arrives at the In Style Magazine and Warner Bros. Studios post Golden Globes party at the Beverly Hilton Hotel, Los Angeles, USA Monday 16 January 2006. 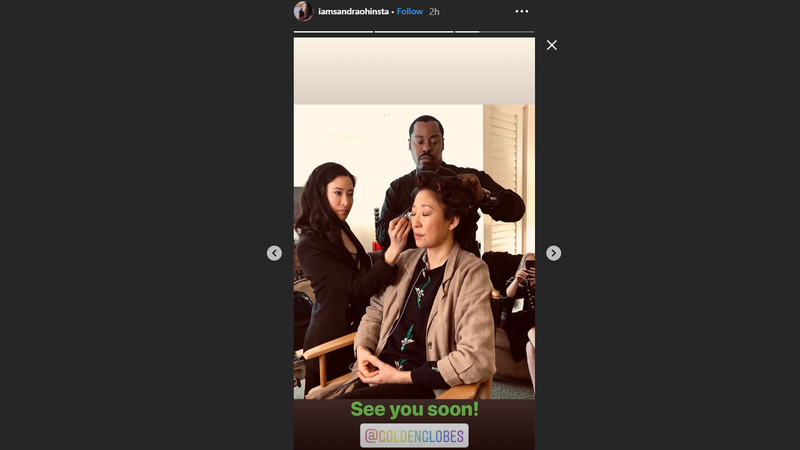 Golden Globes host Sandra Oh has given fans a peek at her preparations ahead of Sunday’s ceremony. The image, posted on the Killing Eve star’s Instagram Story, shows her in the make-up chair. Oh’s eyes are closed and her hair is in curlers as her team get her red-carpet ready. “See you soon!” is written across the picture. Actress Kristen Bell also shared pictures of her getting ready process, which involved eating. “I can’t remember exactly, but I’m pretty sure the rule is to eat as much as humanly possible before squeezing into a formal dress. Right?” quipped the star. 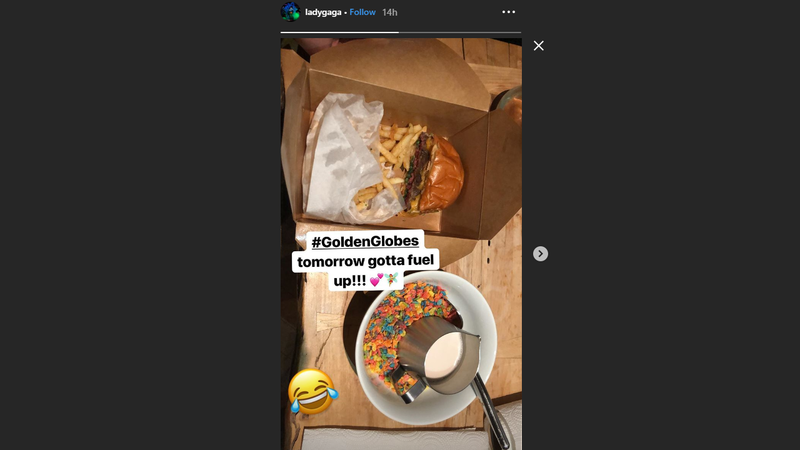 Food also seemed to be the way to go for Lady Gaga, whose film A Star Is Born has five nominations. The 76th Golden Globes will take place at The Beverly Hilton in Los Angeles on Sunday and will be presented by Oh and Brooklyn Nine-Nine’s Andy Samberg.